I'm happy to welcome Margo Karasek here as a stop on her blog tour with CLP Blog Tours. Margo is the author of the book, Work For Hire, a chick lit novel. Tomorrow she'll be back with a guest post and an excerpt from her book. Tekla’s law school career couldn’t be any better. She has top grades. She’s on Law Review. 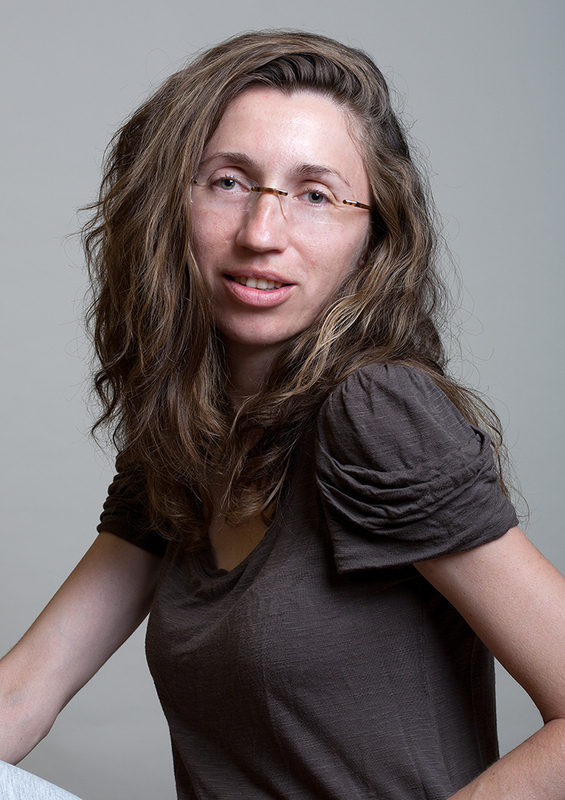 She’s a frontrunner in a mock oral argument with a sweet prize: a judicial clerkship. One problem, though: Tekla has no more money to pay for school. She needs a part-time job. Fast. Luckily, her roommate has just the solution: help two uber-wealthy prep school teens, the twin son and daughter of a billionaire Wall Street short-seller and a world-renowned model turned fashion photographer, with their schoolwork, and earn $150 an hour. Plus, enjoy an additional perk on the job, in the form of a gorgeous photo assistant who happens to have his eye on Tekla. Well, not so much. Within days, Tekla’s job begins to unravel. In a world of super-wealth and high fashion, Tekla finds herself surrounded by a peculiar cast of players: two teens whose self-destructive behavior becomes ever more erratic, a father whose ambitions for his son constantly test Tekla’s notions of what is fair and ethical and what is cheating, a mother whose emotional negligence borders on abuse, and a gorgeous man who may or may not be what he appears. As Tekla struggles to hold onto a job that takes more time and energy than she ever anticipated, her own school life begins to suffer. She makes an enemy of a professor who seems to want nothing more than to bring her down. And he’s succeeding. Soon Tekla’s life is a paradox: without her high paying part-time job, she can’t afford law school; but with it, she’ll surely flunk out of school. 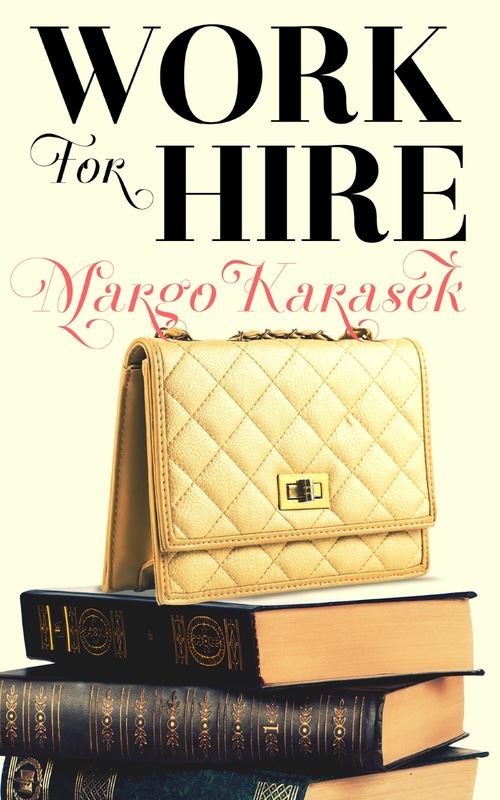 Margo, ow did you come up with Work For Hire as the title of your book? Finding the title for the book was hard. The book was called “untitled” for pretty much most of its writing process. It wasn’t until the very end that I forced myself to think about possible titles. I looked for lines in poetry and song lyrics. I asked for advice and suggestions from others, but nothing really stuck; nothing felt right, if you know what I mean. Then I put the whole title search on hold and decided to read the book one more time. By that point, I hadn’t read through the completed manuscript in a couple of months, so I approached the process more as a reader and not the book’s author. And that’s when it struck me: the phrase “Work for Hire” was pivotal to the plot, both figuratively (the main character needs to find work for hire) and literally (she has to argue the Work for Hire doctrine in her mock legal case). It’s like a light bulb went off. I never outline on paper, but I do have to have the main characters and the major plot points straight in my head before I begin writing. Same goes for the ending. I need to have it figured out before I commit to anything on paper. So I guess you could say I sort of outline in my head—-and I rarely deviate from that outline. However, I leave plenty of room for my characters to grow and develop as the story unfolds, and they very much dictate what I write from chapter to chapter. My cover was designed by Scarlett Rugers, and she is an absolutely fabulous artist! She read the manuscript and asked me to show her examples of covers that I liked. Then she pitched a few concepts for me. I absolutely loved the very first one she suggested. Within days, she created a cover that I absolutely fell in love with because it represented the book—-the feel of the book, really—-in such a subtle, sophisticated way. Scarlett gave me exactly what I was looking for without my having to articulate it. Creating the cover art was great fun. Wow. Naming characters. That’s a tough one. Some of the characters (like Gemma and Xander) were easy for me to name because I sort of had the name in mind before I developed the character. Tekla’s name took way more effort. As the main character, I had to get her name right before I could go forward with the book. I also had to keep in mind her background; she’s of Polish descent so the name had to work in both languages. Plus, I wanted it to be unique. So I went to all the trusty baby naming books and websites—-both in English and Polish. I think I spent as much time coming up with Tekla’s name as I did with my own kids’ names. But hands down, the hardest character to name was Julian. For most of the book’s writing, I used a “place holder.” I’m embarrassed to admit that I initially called him Niko. But that name didn’t sit right and none of the others I came up with from my baby books worked any better. In the end, I referenced people that I knew in the past and chose the name of the person whose character traits best resembled Julian’s. Pretty much all of my characters are inspired by real people. The rub is that I like to morph a couple of people into one character and then add my own, imaginary, spin to the mix. So, for instance, Professor Johnson is a representation of the numerous law professors I encountered while in law school, but some of his features and character traits are heightened for dramatic effect. Gemma and Xander, too, do not reflect any one person, but I’m sure a few of my former tutoring students can probably recognize parts of themselves in the characters. I really like to observe people, and it’s hard for those observations not to filter into my fiction. Hands down, it would have to be Markus. He’s just so organized and capable, I know he would take care of all those pesky details, like building shelter and getting food. He would never complain and would go out of his way to make sure I was happy. He’d always put my needs above his own. As a child, I loved reading the Anne of Green Gables series. Lucy Maud Montgomery was my idol, so much so that I drafted a few stories in her style. You could say that Ms. Montgomery inspired me to take up writing. As a teenager, I challenged myself to finish the 1000+ pages of Gone With the Wind, and I became obsessed with Scarlett. As an adult, I really discovered Jane Austen. I never got all the hype surrounding the Bronte sisters, but Jane Austen rocked my world, especially when I read Pride and Prejudice and Emma (did I mention that I named my daughter after Emma?). I also love Old Man and the Sea and am a huge fan of George Orwell. Music helps me out a lot when I write, especially when I’m stuck with something. If I need to work out a tricky plot point or get passed some writer’s block, I slip on the headphones and blast Mozart at full volume. I love his pieces because they can be melancholy or full of energy, depending on my particular mood. Other music works well, as long as it does not have lyrics. I get too distracted by lyrics. I guess they clash with the words I’m forming in my head. I also sometimes like to walk away from writing and focus on mundane tasks like house chores, to let the brain relax and just let the thoughts flow at their own pace. You’d be amazed how many great writing ideas I’ve had while brushing my teeth. I like that. What do you like to do when you’re not writing? When I’m not writing, I absolutely love to read. I average about a book or two per week (law school taught me speed reading—-to my eternal gratitude). I also do a lot of walking with my dog. In the past, I trained in ballet, and I still love to dance. My favorite time of day is that hour before my kids go down for the night. I pump up the volume on our stereo, and we all bust out with our improvised dance moves. Recently, I’ve also taken up learning how to play the piano. Instruments intimidated me when I was younger, and now I take great joy in learning to play. I love the repetition of practice. It’s my personal form of meditation.